Tonight, 18 awards were awarded to 24th Kitchener Scouters. The awards ranged from a 5 year service pin to a Medal of Merit. Area Commissioner, Shawn Frederick and 24th Commissioner, David White where on hand for the presentations. 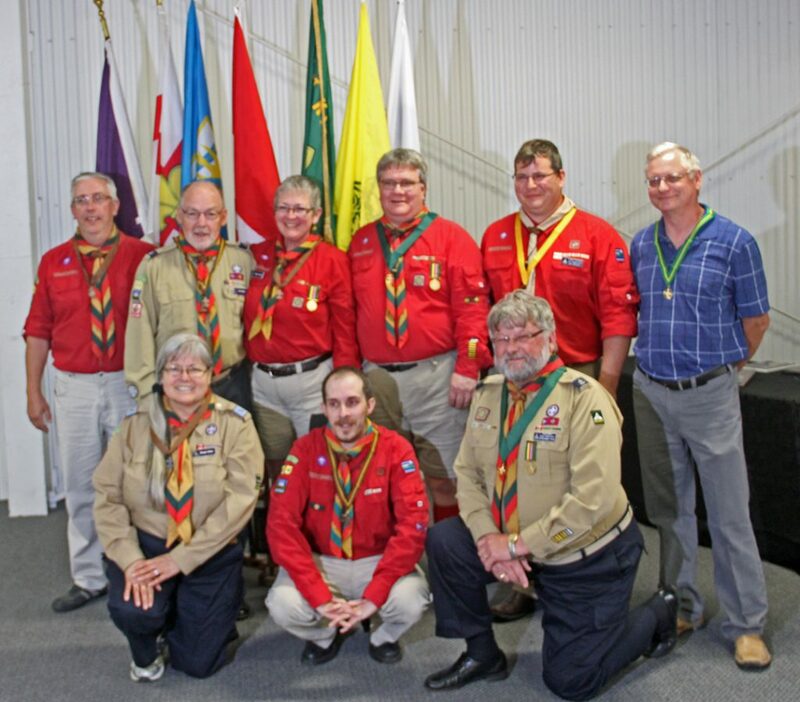 Left Back to Right Front: Scouters Brian, Bud, Teresa, Jim, Shawn, Peter, Margot, Larry, & David.